Operating across Europe, we supply clients with red carpets for nightclubs, wedding venues and a variety of other events. These carpets are designed and crafted by professionals ensuring they look their best for whatever event they are needed for. Nightclubs across Europe require an entrance carpet that can deal with heavy foot traffic on a regular basis. This requires a good looking carpet that boasts great durability to retain its look and not fall apart after constant use. We design our carpets to be durable, yet stunning to ensure that they are suitable for repeat use. A long lasting carpet that looks great, especially when accompanied by our stair rods or wide range of other carpet accessories, is exactly what we offer here at Custom Made Red Carpets. We don't only supply red carpets for nightclubs either! We also offer a variety of other colours and create our carpets in a broad range of shapes and sizes. We tailor each carpet to our clients unique requirements. Give us a call today on 01726 816572 and speak with one of our specialists. They will be on hand to go through requirements and provide professional advice on what carpet would be best suited for you. All our custom made carpets are design around you and your requirements. 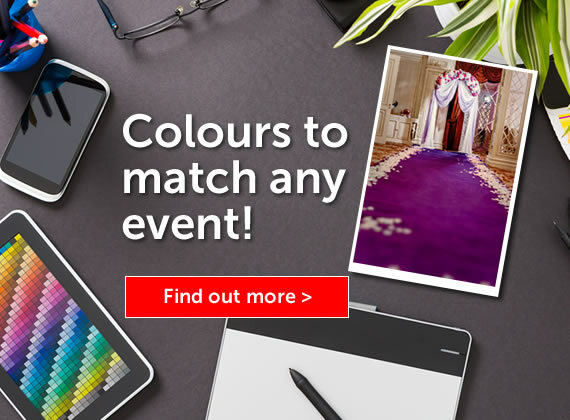 Be it for a wedding or a nightclub, we tailor all our carpets to best suit the venue and your specifications. We supply carpets in any shape, colour and size ensuring that no matter what you need, we will have a solution for you. Our team utilise years of experience to design and create stunning carpets that are made to last for years to come. This is why so many of our clients come back to us for repeat business! We ensure that the carpets you receive are fit for purpose while keeping their stunning look for as long as possible. 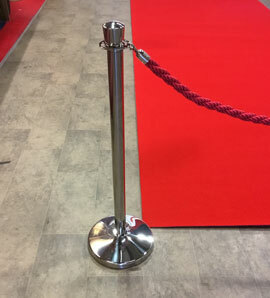 We offer a wide selection of carpet accessories that are perfect when used with our stunning red carpets. Ranging from stair rods and end plates to non-slip backing and stain protection; we ensure you get the best solution for you. Operating throughout the local areas of the UK and even reaching clients across Europe, we supply red carpets for nightclubs, weddings and a wide range of events. All available in any shape, colour and size, we tailor each carpet around you. Get in contact with us today to find out more and receive a quality custom made carpet of your own.